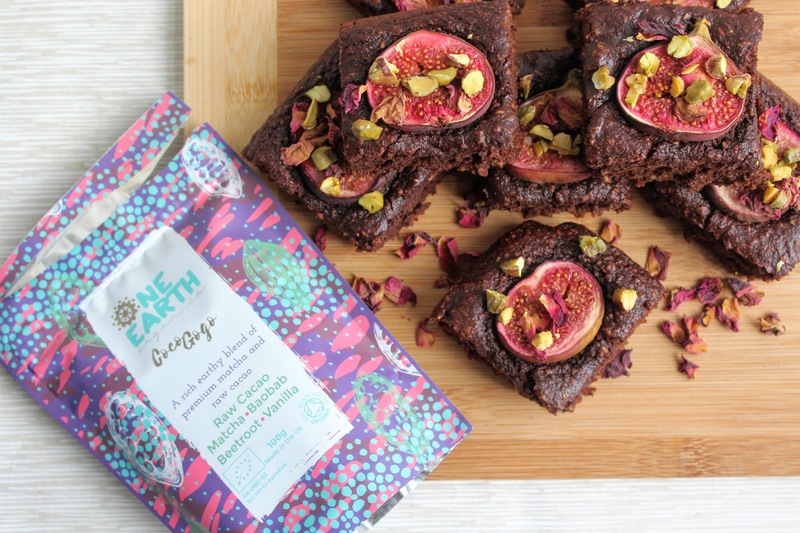 It’s a pleasure to be working together with the wonderful One Earth Blends, one of the most gorgeous, aesthetically pleasing brands I’ve come across. 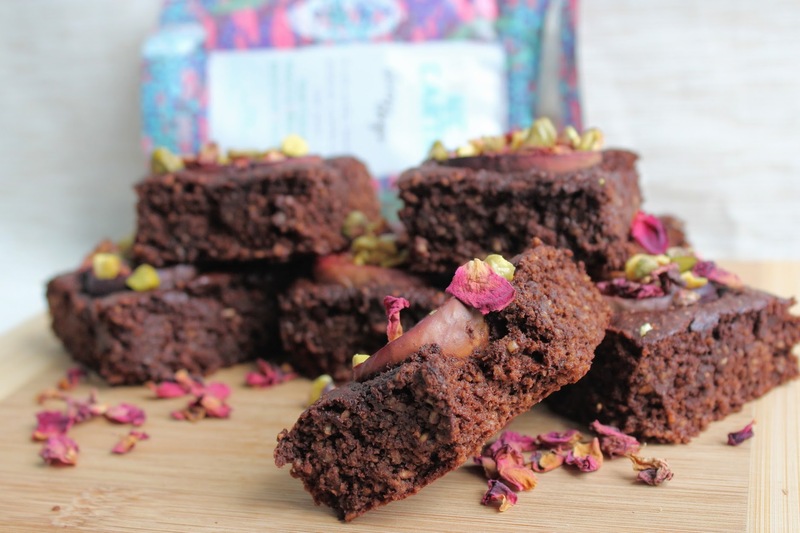 Offering a range of ethically produced, nutrient-dense organic superfood blends, they have been specially formulated by one of the best herbalists in the UK. 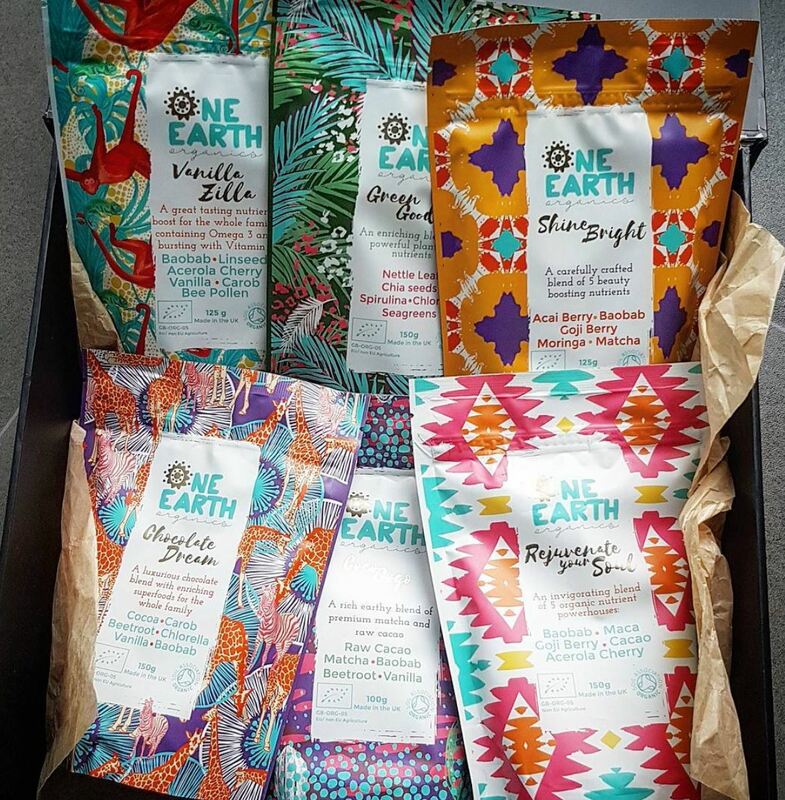 On a mission to help promote healthy eating from a young age, One Earth Blends want to make it easier for people to achieve true health with minimum effort, which is why each of their blends is tailored to specific needs to make you glow and feel great, for all the family. This is what I love about their products; the fact that they are aimed at making you feel good, both inside and out. 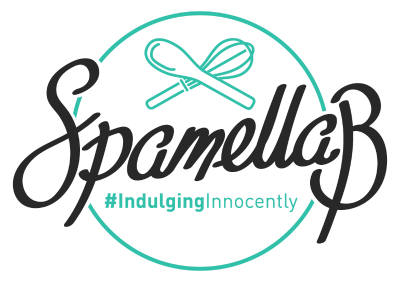 There are so many superfoods on the market but their blends are a bit more exciting and interesting – have a look below and you’ll see for yourself, not to mention how beautiful the packets are sat in your cupboards! 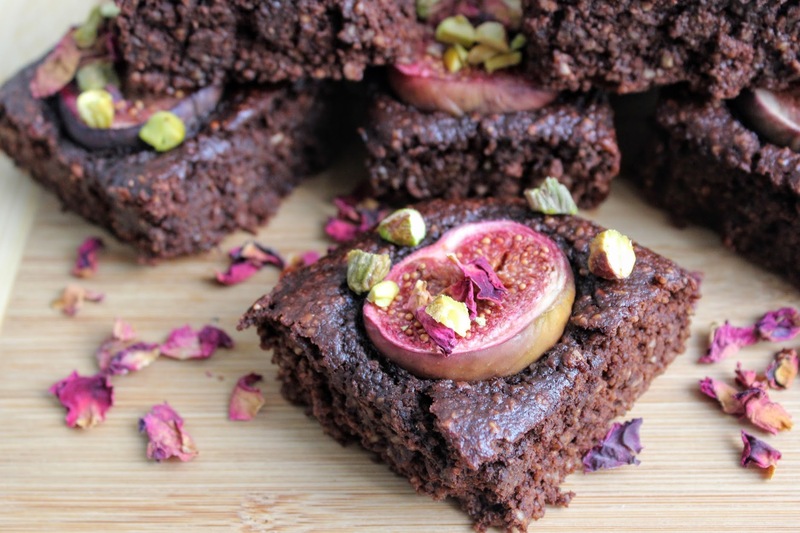 It was hard to choose which blend to make a recipe with as all are so versatile, but I went with the dreamy Coco Gogo [raw cacao, matcha, beetroot, baobab and vanilla] to create these rich, indulgent but healthy brownies flavoured with cardamom to compliment the figs baked in them. A perfect autumn treat! 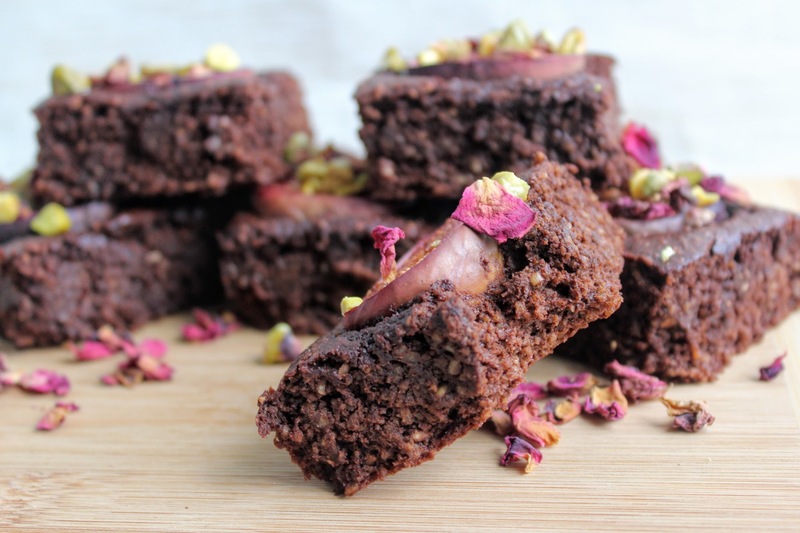 Mix together the oat flour, ground almonds, coconut sugar, cacao powder, superfood powder, bicarb of soda, cinnamon and cardamom in a bowl. Mash the bananas well and whisk in the eggs, almond milk and vanilla until smooth. 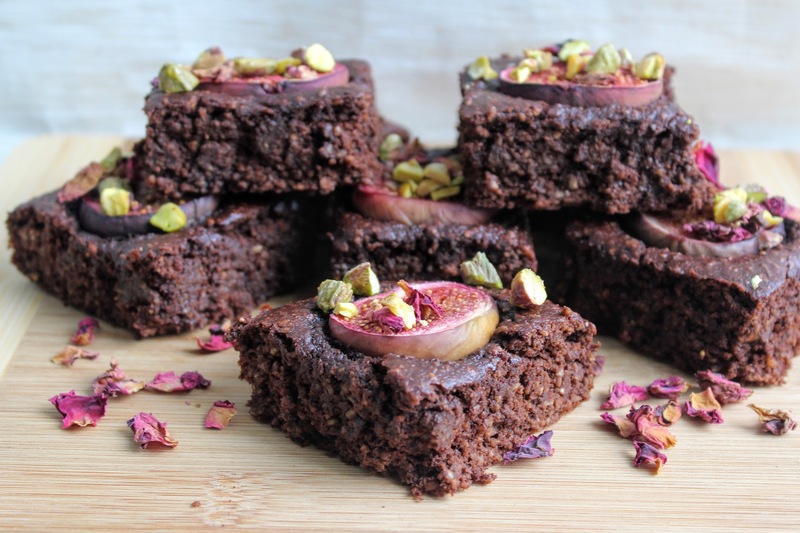 Spoon the mixture into your prepared tin and place the figs in the middle of where you’ll be cutting each brownie slice/square. Bake for 15 minutes until firmed up then leave to cool. 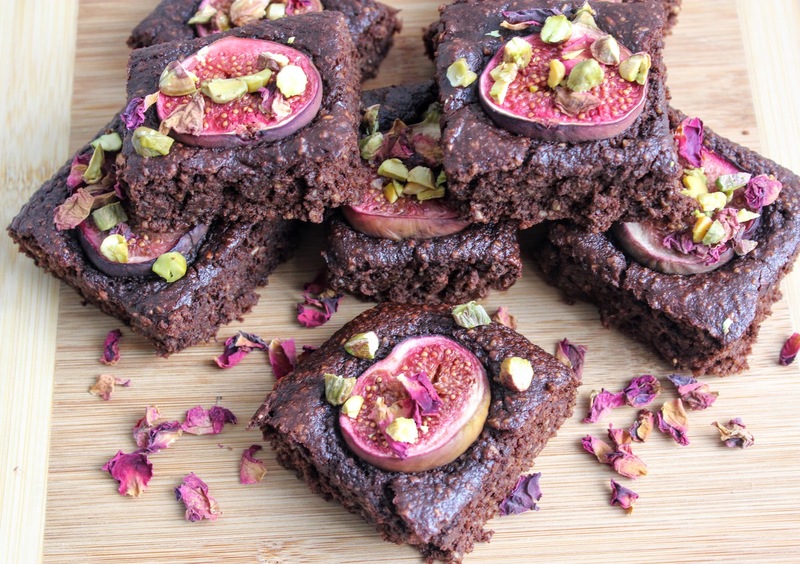 Cut into pieces and scatter over pistachios and rose petals – then enjoy!